The suit really is the be-all and end-all of style. It’s something every man should own, and it’s something that instantly makes you look and feel better. 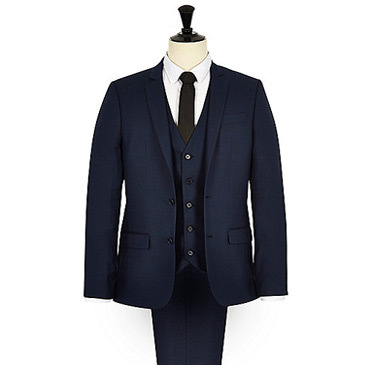 Even if you’re the definition of ‘I’m not really a suit guy’, there will be occasions (weddings, job interviews, events and more) where you’ll be required to wear a suit. 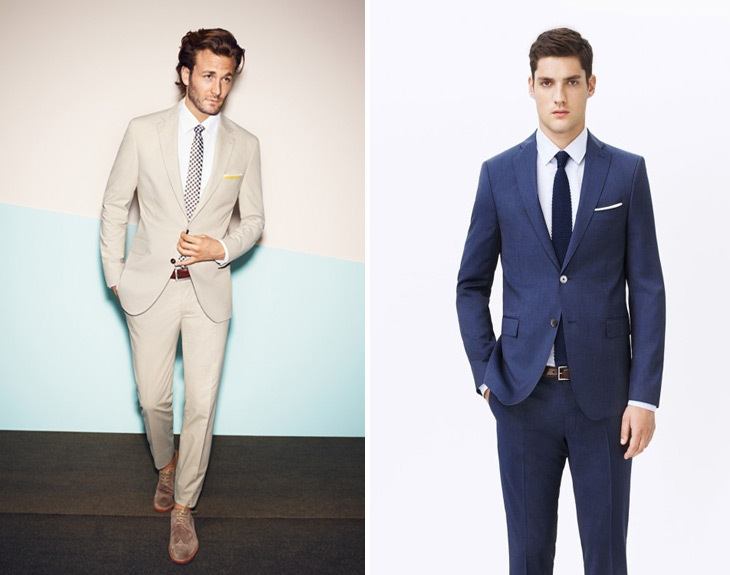 Therefore this article is here to help, as we highlight 7 rules to follow when wearing a suit. 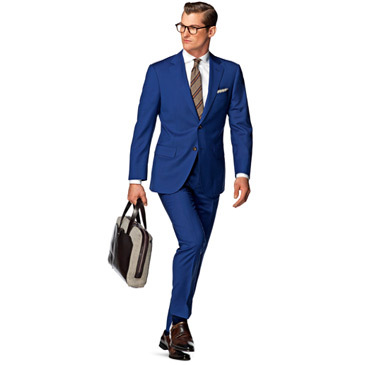 Before we start it’s important to note that we’re firm believers that ‘style rules’ are there to be broken, but when it comes to suiting these 7 tips here you really should abide by. Ready? 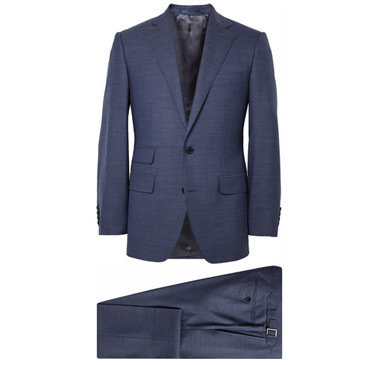 When wearing a two-button blazer, you should always unfasten the bottom button on the jacket. This offers a better silhouette and doesn’t restrict your movement. On a three-button suit either button just the middle button or the top two. Sounds simple enough, but a lot of guys make the mistake of buttoning up the wrong way. The Trouser Break – This is up to personal preference but a general rule is the trouser cuff should fall neatly at the top of your shoe. 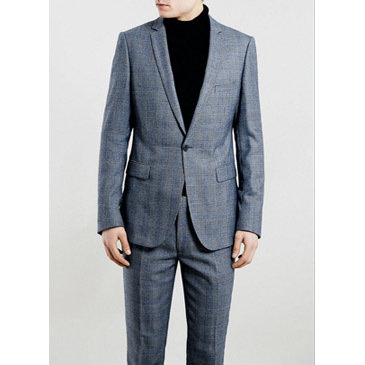 The trouser will often fall a little bit longer at the back then at the front, and there shouldn’t be any loose fabric bunching up at the bottom. 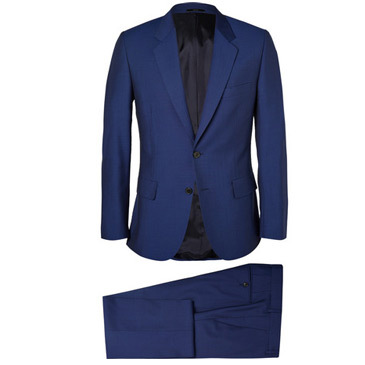 The Mid Section – The jacket should be brought in slightly roughly at the waist to better complement your shape, and this isn’t a difficult adjustment. When buttoning the blazer it should close without creating strain, and again there shouldn’t be any loose or scrunching of fabric around your midline. A simple rule but one a lot of guys forget to apply. 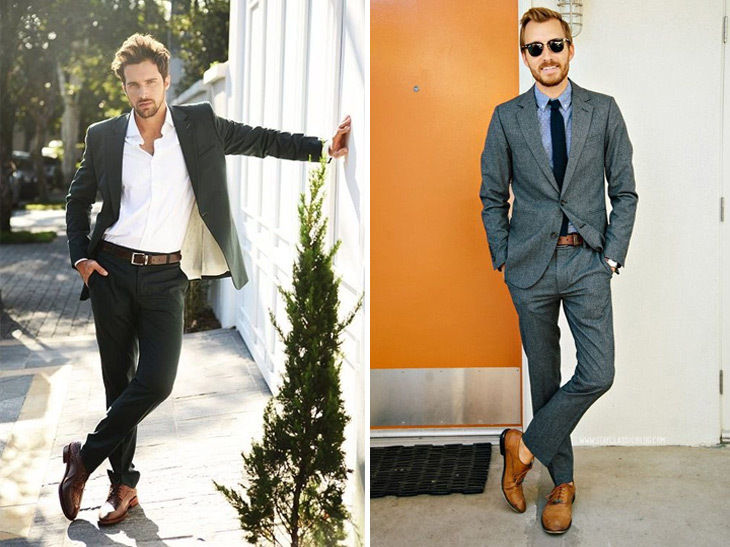 If you’re opting for a brown pair of shoes, go for a brown belt to match. The colour grade doesn’t have to match perfectly, but avoid the black belt and brown shoes combination. Opt for a thin belt over a large one, and make sure the buckle is understated but classy. 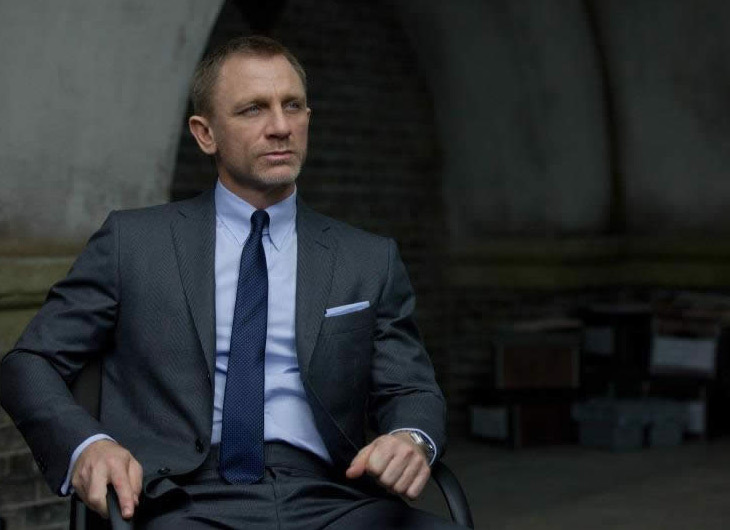 When sitting, unfasten the buttons on your blazer. When standing up again, fasten them as you should. As we’ve already mentioned, this small detail can make a huge impact. It’s a minor adjustment to alter the sleeve lengths on your jacket and you’ll want them to expose half an inch of shirtsleeve. When letting your hands rest down at your side your shirtsleeve should finish at your wrist, not fall over your hand. 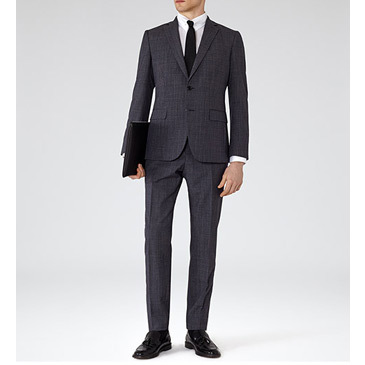 Wow, how many guys forget to remove the stitching on the vents before leaving the house in their new suit? When buying a new suit you’ll tend to find the vents at the back (if you have them) are stitched up, alongside the pockets. Gently using a pair of scissors remove the stitching before wearing the suit. 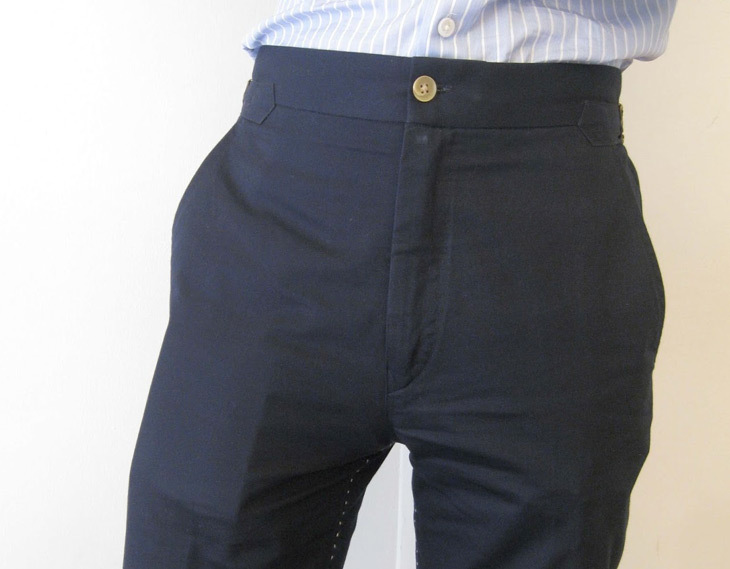 If your trousers fit as they should, you’ll often find the offer a slimming appearance. Therefore stuffing your pockets with a phone, a wallet, gum and car keys will have a negative effect on the/your overall appearance. 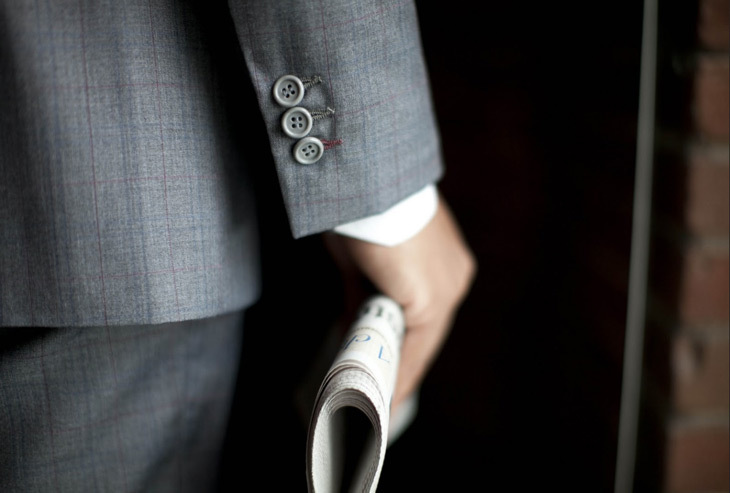 Store them in your coat pockets, or store the items evenly in the inside pockets on your blazer. 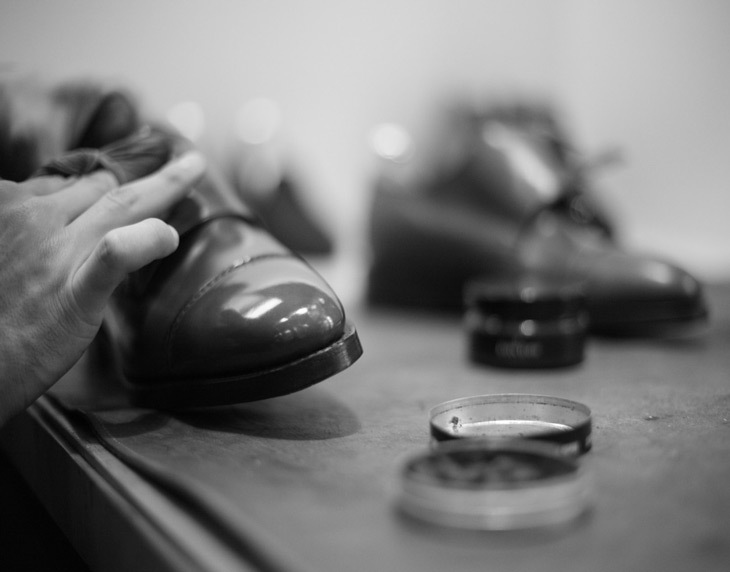 We spoke about the importance of good shoes a while back, and forgetting to polish your shoes is a schoolboy error. It doesn’t take long, and it will help maintain the investment of a good pair of shoes. I think we should take into account,wrist watches as well. I have seen guys wear big/huge faced watches and that doesn’t make their shirt stay flat on the wrist. I recomment a very flat faced wrist watch. Agreed! Thanks for the input Femi. Not just that, but if it is a leather band on a wrist watch, it should match the belt/shoes as well. Regarding point 9, agreed that a scarf in that mix really sounds over the top. 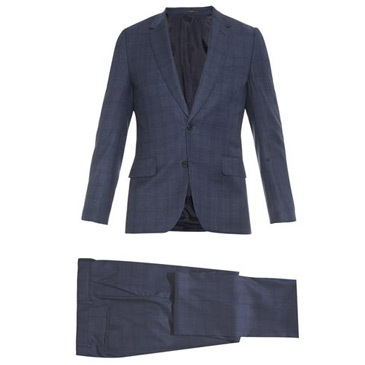 But the rest of the accessories in totality make a suit perfect. The key, I believe, is rightly accessorising those elements, rather than throwing in a very random mix which sit together awkwardly. So firstly I’m a web developer, and I have to say I love the style of this page! It just oozes class. Secondly, This has now become my favourite blog of all time! I love looking smart, and feeling better because of it! Question, for guys with low money, i.e. me, as I am an Apprentice, what would you advise us to invest in, or are there any saving tips you could suggest? 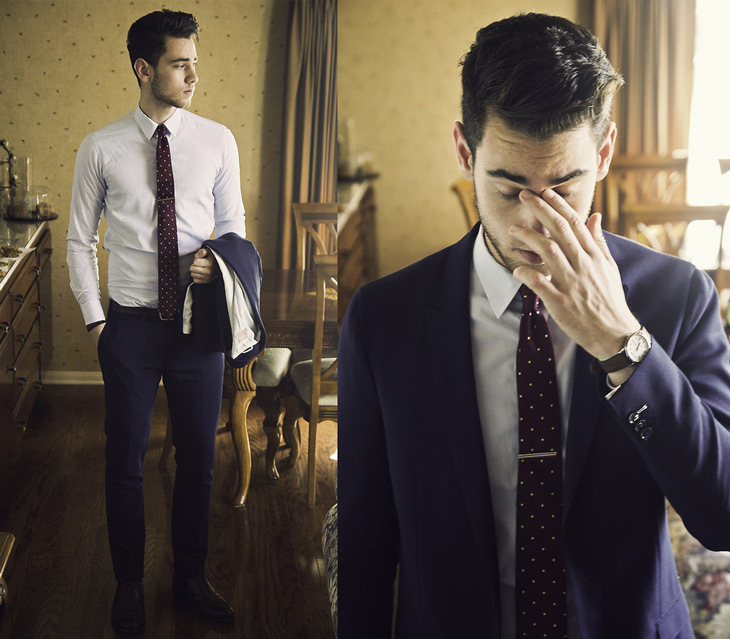 the combination of the socks and tie is very important too…..
You present many excellent ideas here. But why ruin your otherwise good advice by portraying models sans socks, needing a haircut, needing a shave for the past several days, etc.? This ruins the whole effect! 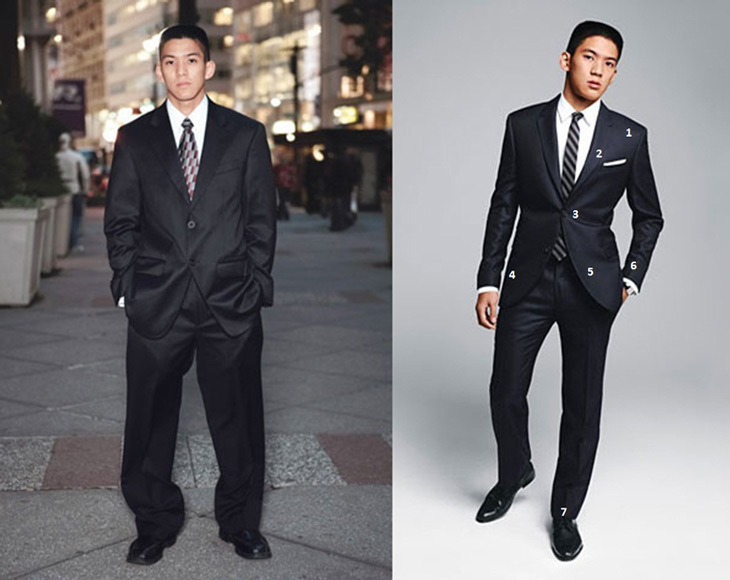 Avoid trends when buying a suit. 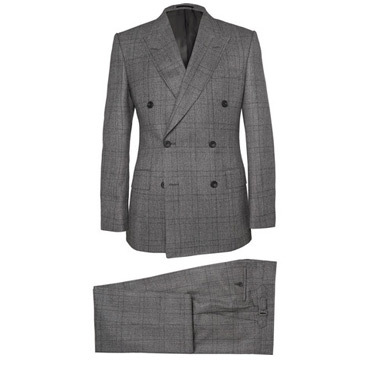 Stay with a classic look that you will be able to wear for time and something that will be out of style next year. Dress appropriately. And please , I don’t care what the men’s magazines may show, wear sock when you are wearing a suit.